Part of what I do in my business coaching practice is review marketing emails for clients. As of late, I find the same small mistakes coming up repeatedly among clients. These mistakes – though small – are costing them money. Marketing emails still go a long way in making money. Research shows that although social media channels are growing, email still far surpasses it. Almost everyone with access to the internet has an email account, whereas not everyone uses social. Additionally, if people opt-in to your email list it’s because they want to hear more from you. This means they already somewhat trust you which makes them warm leads. So the first step in making marketing emails work is to ensure you’re building a list. The last thing you want is for social media to change the rules on you because then you lose visibility. Once that is established and you have people joining your list, then it’s a matter of actually emailing them. Here are some mistakes to avoid when doing so. I have a client who I’m currently with who wasn’t inserting any calls to action in her emails. She would simply say “Hey, check out this blog post I wrote” which is okay, but not enough. Instead, she needed to make sure she ended emails with a call to action that gets people on the phone with her for a consult. While traffic to a blog post is great, most of us need to sell our services. The best way to do that is to offer phone consultations. Mistake #2: It’s only promotional. Unless you’re in retail, overly promotional emails may not work for you. And even if you’re in retail, you still need to have a story to go with it. For example, SoulCycle sends promotional emails all the time for retail, but they also have a killer brand story. If you’re a service provider, you need to communicate with your market on another level. The best way to do this is through stories, not promotions. Stories can look like your own stories as they relate to your brand. They can also look like client stories. Just note that you still need some sort of call to action at the end so that you can actually make some money. Mistake #3: Your formatting is awful. Forget the fancy stuff. Keep it simple and like a regular email. Short paragraphs are best. You want to make sure people can easily skim your emails. Keep the subject lines short too. Again, this is assuming you are not in retail where constant promotional offers are expected. Retailers can get away with the design, but it’s unnecessary for service providers. Marketing emails are a great way to make sales in your business if you avoid making these common mistakes. 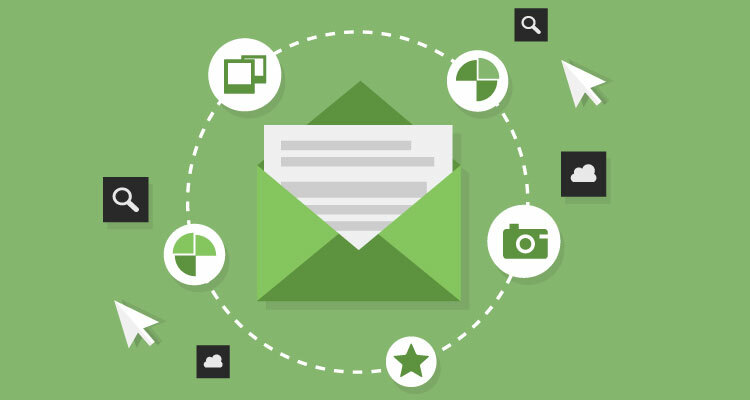 With these small tweaks, you’ll be well on your way to improving how your marketing emails perform.